It's back! The Cafe's annual list of recommended gift ideas for the classic film and TV fan returns for this fourth edition. 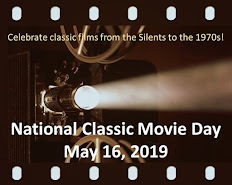 And remember, if you are the only classic film and TV fan in your family, you can drop hints--or even buy yourself a present. 1. The Forsyte Saga (1967). James Galsworthy’s three novels about the Forsytes, a nouveau riche Victorian family, have been adapted for both film and television. Errol Flynn and Greer Garson starred in 1949’s That Forsyte Woman (derived from the first book, A Man of Property) and a popular 2002 adaptation of the trilogy appeared on Masterpiece Theatre. However, the most renowned version remains the 1967 26-episode series starring Eric Porter (simply sensational as Soames), Nyree Dawn Porter (a stunning Irene), Kenneth More, and Susan Hampshire. Yes, it's in black-and-white, but the costumes and settings are splendid. 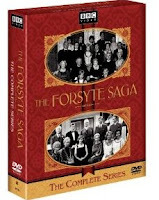 The Soames and Irene story dominates the first 8 episodes--and is the series highlight--but The Forsyte Saga holds interest throughout its running time. 2. Man in a Suitcase. 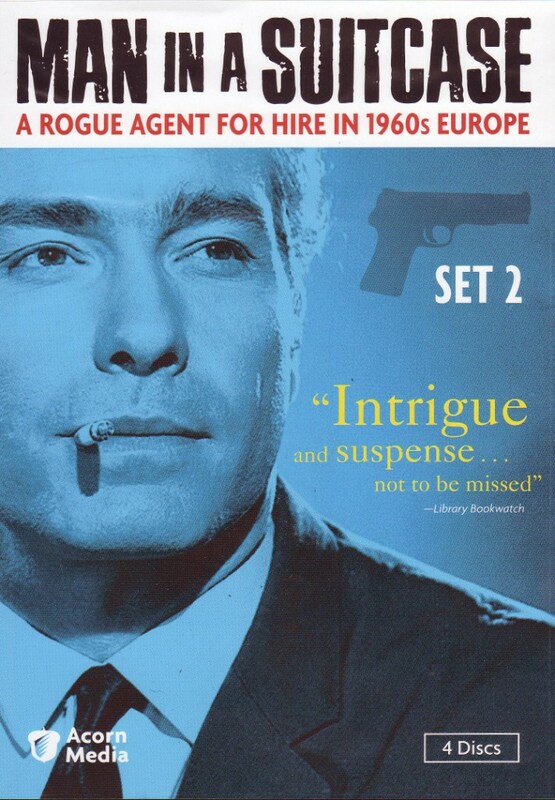 One of the best--and least-known--spy TV series of the 1960s, this sharply-played, well-written series stars American actor Richard Bradford as a disgraced former espionage agent called McGill. Branded a traitor by U.S. intelligence, McGill makes a living doing free-lance work in Europe and Africa--dealing with blackmailers, protecting stool pigeons, finding kidnapped victims, recovering lost art treasures, etc. He charges $300 to $500 a week, depending on the job, plus expenses. When a potential client gripes about the high fee for a "disgraced American agent with a gun for hire," McGill quips: "I'm expensive...I call it my self-respect bonus." 3. 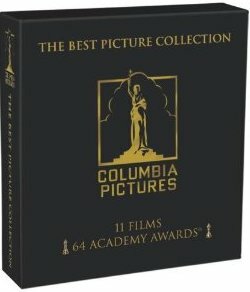 Columbia Best Pictures Collection. Even at a discounted price of $79 or less, this 11-film collection may seem pricey. Still, it's an impressive collection of Oscar winners covering six decades--from It Happened One Night (1934) to Gandhi (1982). There's something for everyone in the family whether their film tastes gravitate toward comedy (Capra's You Can't Take It With You), social drama (On the Waterfront), sweeping historical drama (Lawrence of Arabia), or Burt Lancaster and Deborah Kerr on the beach. 4. Preston Sturges - The Filmmaker Collection. 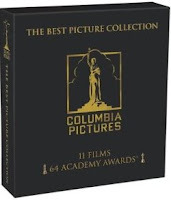 This seven-film boxed set from Universal includes: Christmas in July; Sullivan's Travels; The Lady Eve; The Great McGinty; The Palm Beach Story; Hail the Conquering Hero; and The Great Moment. Sturges' fans may be disappointed that The Miracle of Morgan's Creek is missing (it's sold separately) and the DVD "extras" are just the trailers. 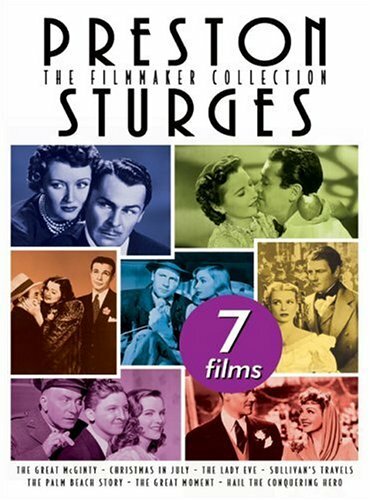 Still, this boxed set is a fantastic introduction to Sturges, a true "auteur" that worked within the confines of the Hollywood studio system. 5. Alfred Hitchcock Presents (Season 1). One of the Cafe's most popular posts in 2012 was a list of our five favorite episodes of this classic series. True, you can watch selected episodes on the web and it's still broadcast on television. However, for $14.99 or less, season 1 of AHP is a great stocking stuffer. 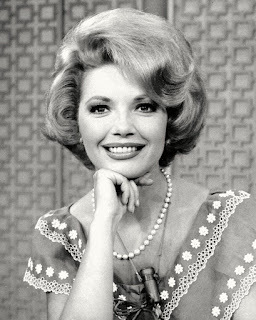 You get 39 episodes, including one of the best in "Revenge" starring Vera Miles and Ralph Meeker. Thank you for the list... I would love the: Preston Sturges - The Filmmaker Collection. Can I add to your awesome list the.. Frank Capra: The Early Collection DVD. I'll take The Forsyte Saga off your hands, and sneak Man in a Suitcase into my big purse. Great list, Rick. Damian Lewis was excellent as Soames in the more recent FORSYTE series, but I can't stress how good Eric Porter is in the original. SIGH - if only I could win the lotto! 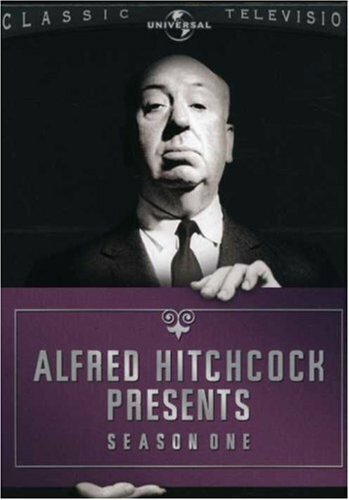 Am getting the Hitchcock bluray collection on sale today for Black Friday because I've been pining for it since its release. My Christmas present to myself. I already own the Season 1 of Hitchcock presents, A STEAL at the price you list here. AND I want all the others - although I'm not familiar with Man In a Suitcase at all, I know it must be worth it if you recommend it. Great list! I've had my eye on the Preston Sturges collection for a while...would love to find it under the tree this year. When I read about it, I thought it'd appeal to you (assuming that you didn't have it already, of course). A really nice selection here Rick. I'm most interested in Man in a Suitcase. I may need to order two copies though. My mom loves her Charlie Chan and she just turned me on to the new show Copper which aired on BBC. What a great series that is. I think you would enjoy it. I've also watched the first two seasons of the UK show "Sherlock" which was great too. I hope you had a nice holiday with your family. Page, MAN IN A SUITCASE is a forgotten treasure. Happy post-Thanksgiving to you and your family! Rick, this is a fabulous list of suggestions! I own or have given as a gift four of these treasures. The only one missing is the Preston Sturges collection and I do think it is a shame that "The Miracle of Morgan's Creek" is not included in the selection. I especially appreciate your endorsement of "The Forsyte Saga" with the most excellent Eric Porter. Well done! Some good suggestions here, Rick! Especially glad to see the excellent and little-seen MAN IN A SUITCASE get a mention. Just a terrific series, with a wonderfully world-weary, charismatic lead performance from Richard Bradford, who should have been a much bigger star.